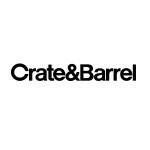 The Crate & Barrel is a company that is based in Northbrook, Illinois and the company manufactures different varieties of house wares, furniture, as well as home accessories. Otto GmbH owns the company completely. It was founded back in the year 1962 and now the company owns and operates about 170 stores in different locations. In 2008, the company went international when it opened its very first store outside the borders of United States. The stores display all the products in vignette style in which they are arranged in the way furniture are organized in a home. This style was the initiation of this company only. There are currently 0 consumer reviews about Crate And Barrel available. Share your review. Please take a note that you are about to post a public review about Crate And Barrel corporate office on CorporateOffice.com. This review will be public, so please do not post any of your personal information on this website. If you would like to contact the corporate offices of Crate And Barrel, please use their contact information such as their phone number, website, and address listed above to contact them. However, sometimes staff from Crate And Barrel headquarters do read the reviews on this website.